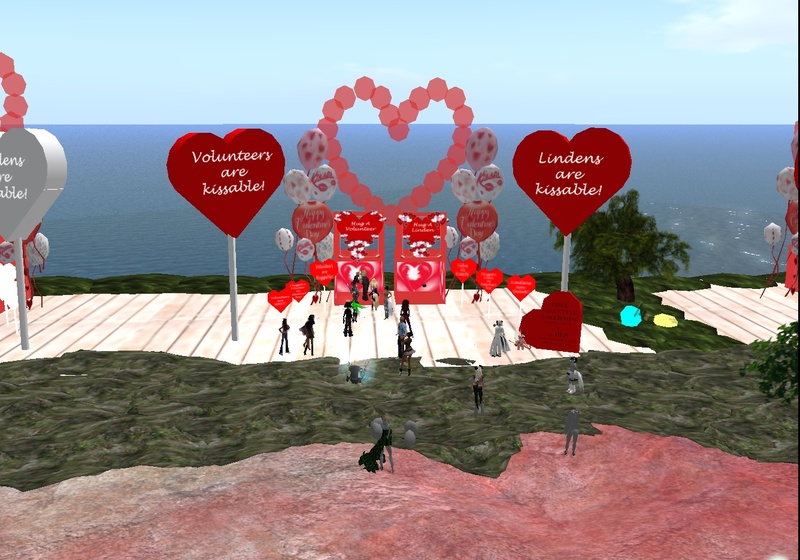 Second Life Newser: What Happened to the Valentines Day "Kiss a Linden" Event? Eye on the Blog: "Sneak Peek at Pathfinding"
Cartoon of the Day: "Hamlet's Challenge"
What Happened to the Valentines Day "Kiss a Linden" Event? Every year on Valentine's Day, the Linden Lab team have held their "Kiss a Linden" event in Second Life. For this one day a year, the Isle of View and Isle of ViewTwo sims would be brought online just for this occasion. These were heart-shaped islands with huge candy hearts, heart lollipops, and kissing booths with Lindens and sometimes resident volunteers. 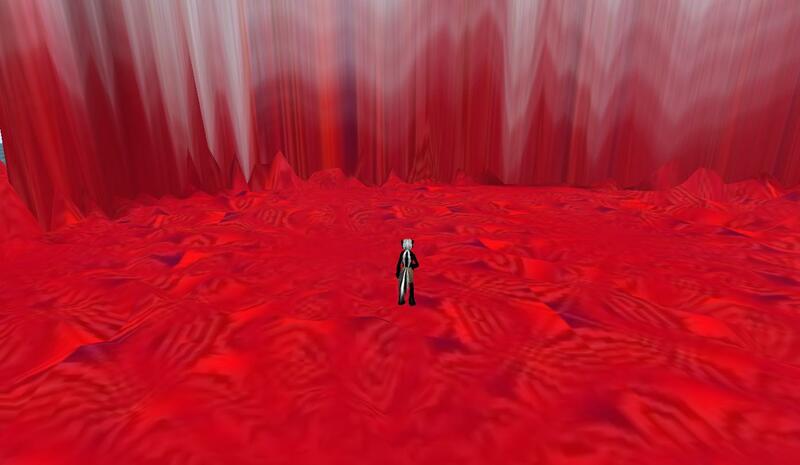 The Teen Grid had it's own event, though it was "Hug a Linden." The event was held every year, at least until now. In 2011 last year, Gemma Cleanslate covered the event, which was as active as usual and everyone having a good time. Courtney Linden had made an announcement, and later on Torley Linden posted a few pictures on his Flicker. The Second Life Destination Guide didn't make a mention of the event this year, but Second Life Newser went ahead and posted a small notice about it as the year before. There was no reason not to, as the event had always taken place. Apparently this year it didn't. The islands weren't on the map in the wee hours of the morning, and this afternoon they still weren't there. So why the change? Linden-bashing has been a favorite sport around the Grid, but that hadn't stopped various Lindens from volunteering or residents from showing up. A glance at the blog revealed no announcement of the event being called off or why. Apparently, the end of a tradition that's gone on for several years. Strangely enough, not far away from where the Isle of View would have been to the south was a sim I hadn't known of, Terraform Me. Teleporting there, it didn't seem like much on ground level, just red ground with steep white mountain peaks before me. Only by looking at the map would one get the point. 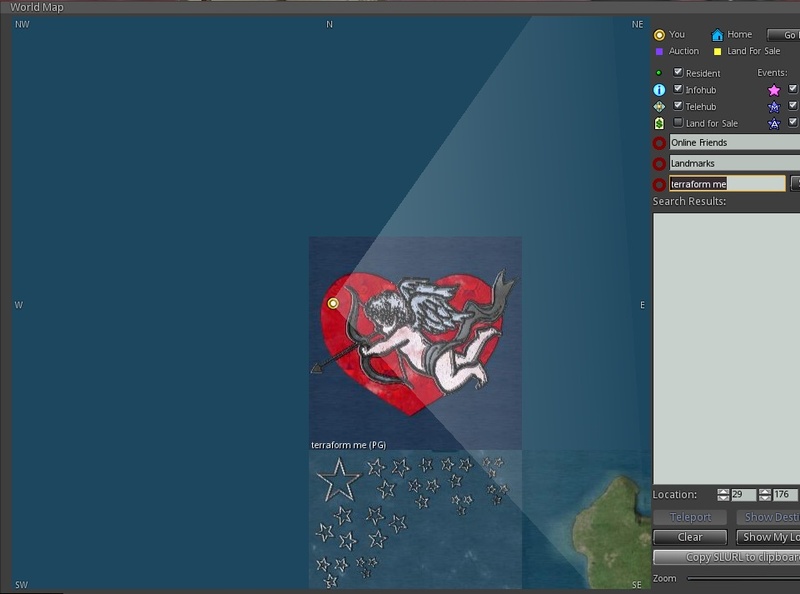 The island was one big cupid picture. Someone had gone through quite a bit of trouble to make it. So besides the various club events, there was a Valentines Day special on the Grid after all. Does anyone out there know anything about what happened to the "Kiss a Linden" event? Please notify one of the Second Life Newser staff know if you do. Id say it could be a sign. No more Love from the Lab? Not only this tradition has been ended. In 2011 there was no "Linden Prize 2011" for the non-profit organizations. This prize was granted in every year as far as i know - until 2011. And in this case, no notice, no explanations why it has been cancelled. I tried contacting Courtney Linden, but no response.